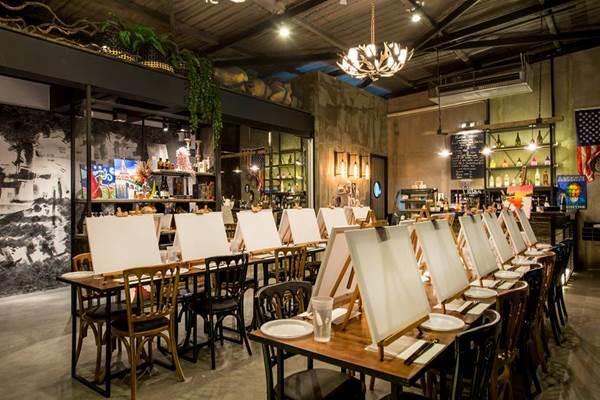 PaintBar Bangkok invites you to their first Sneaker Painting Party! As always, the session is guided by our professional instructor. Grab your friends and spend a few hours drinking, laughing, and flexing your creative muscles. There’s no art background required and we’ll provide all the supplies, so you don’t have to worry about a thing (except having a great time!). Simply pick your sneaker size and make your booking at www.artxsneaker.com. It is only 1990 Baht for 1 and 3800 Baht for 2 guests. This includes free-flow craft beer from Belgium! Free Flow Beer sponsored by Smiling Mad Dog co.